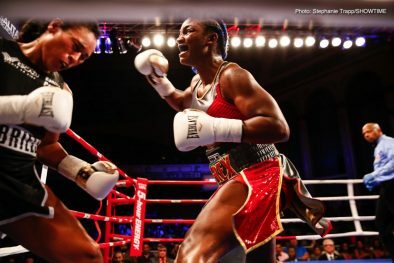 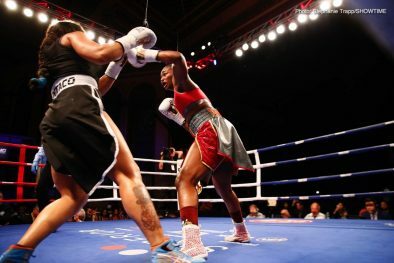 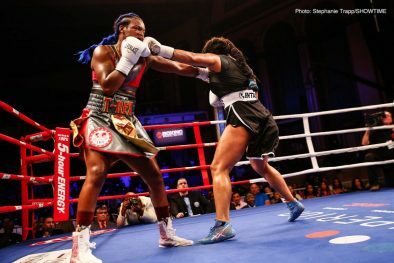 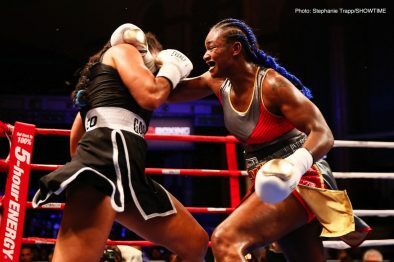 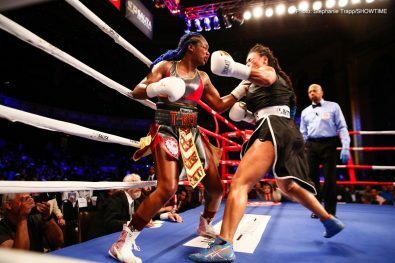 Claressa Shields became a two-division world champion, and Christina Hammer retained her two world title belts as both scored unanimous decision victories on Friday night on SHOWTIME BOXING: SPECIAL EDITION from the Masonic Temple in Detroit, Mich.
And now they have their sights set on one another. 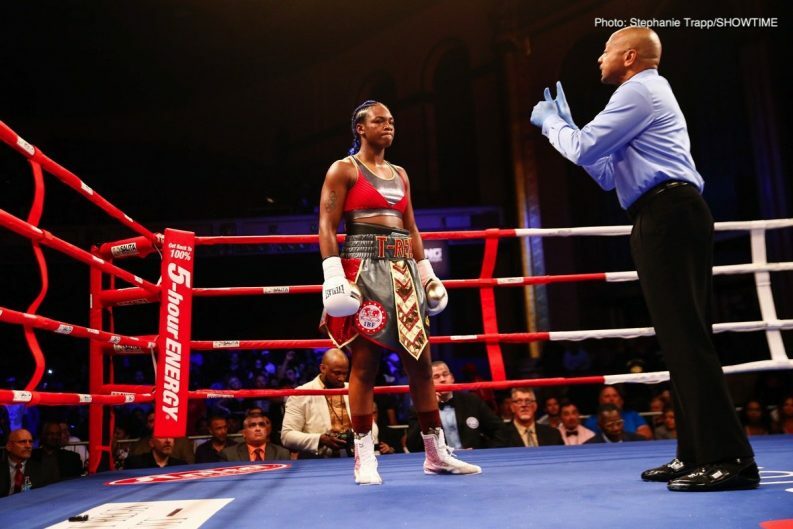 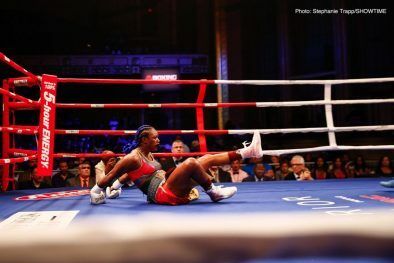 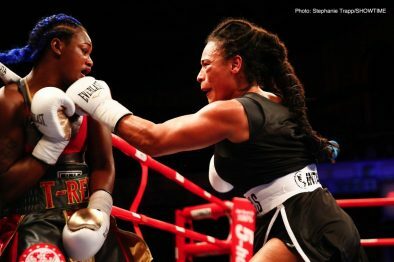 The two-time Olympic Gold Medalist Shields of nearby Flint, Mich., was knocked down for the first time in her career 53 seconds into the first round, but she was able to come back and win every round after that to become a two-division world champion capturing the vacant IBF and WBA Middleweight World Championships against Hanna Gabriels. 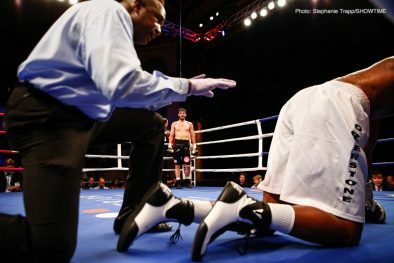 The judges’ scored the fight 98-91, 97-92 twice. 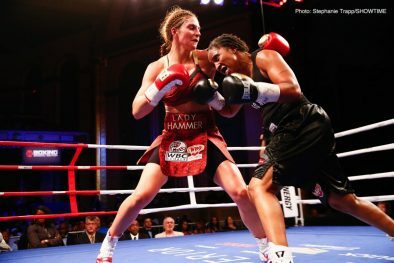 Hammer entered the ring after the Shields fight, and an emotional Shields pressed toward Hammer and some pushing and shoving ensued. 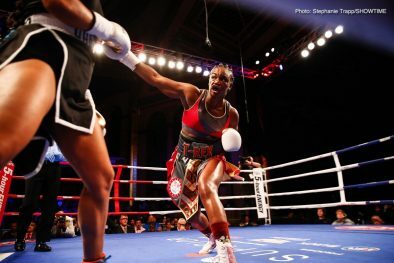 Shields and Gabriels started the fight swinging furiously, but it was Gabriels (18-2-1, 11 KOs) who connected on a right uppercut sending Shields to the canvas. 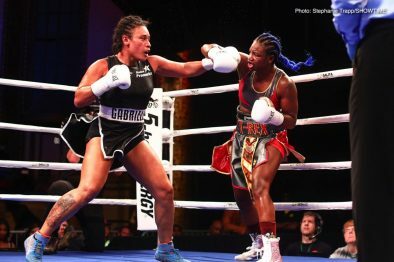 Costa Rica’s Gabriels, a unified 154-pound titleholder, was coming up in weight and attempting to become a three-division world champion. 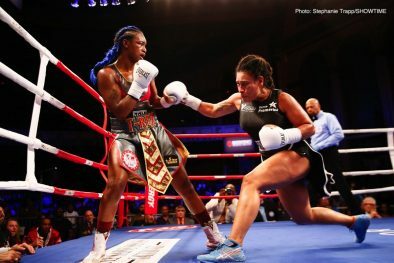 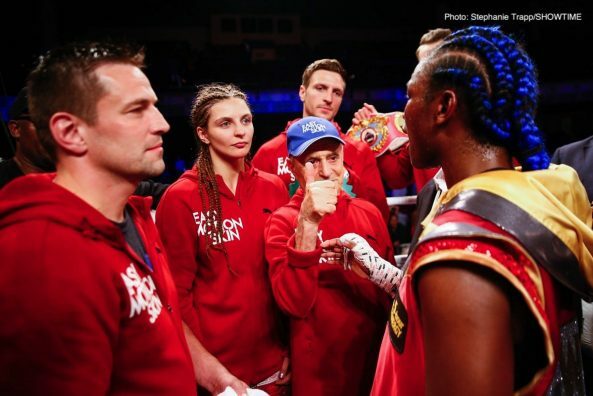 “I trained to go the distance but my heart betrayed me, because after that first knock down, I was looking for another one,” said Gabriels, the reigning WBA and WBO champion who was fighting in her 12th straight world title fight since winning the welterweight title in 2009. 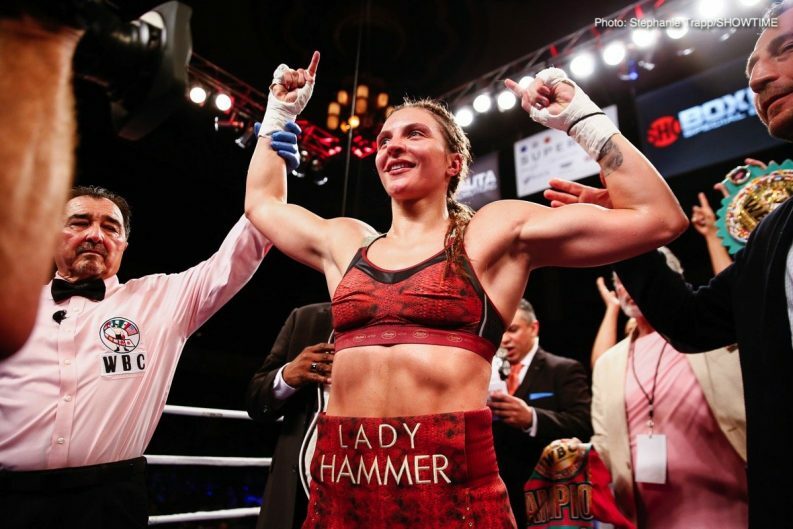 “I wanted to show everyone I had a warrior’s heart. 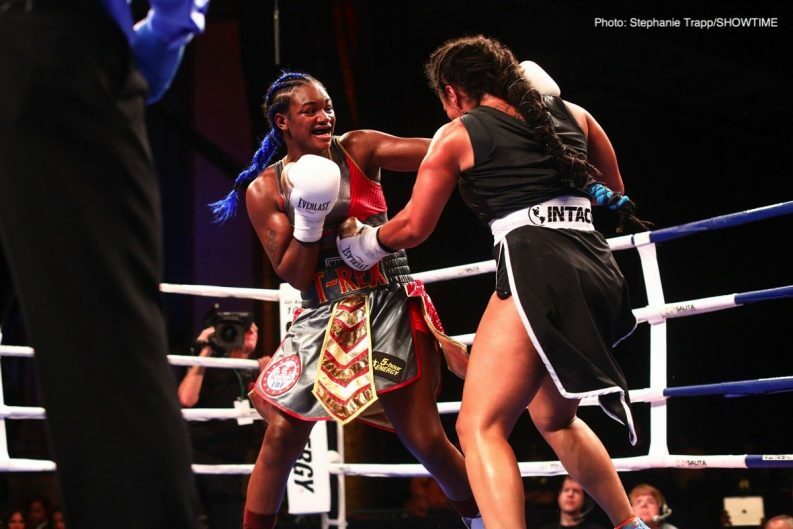 Added Gabriels: “She has a lot of power. 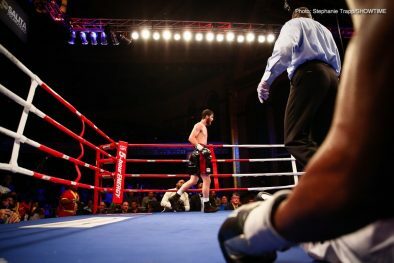 It was a great fight and you have to accept the judges’ decision. 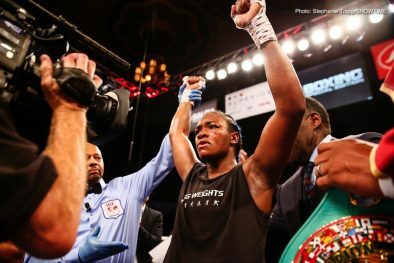 She’s powerful and for the fans I think it went well. 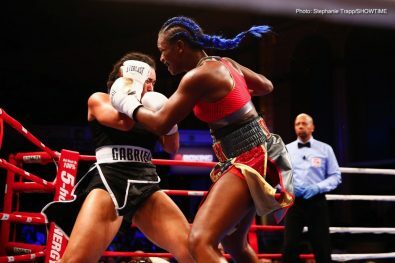 The difference in the fight was Shields’ accuracy, especially in terms of her power shots as she connected on 42 percent compared to Gabriels’ 26 percent. 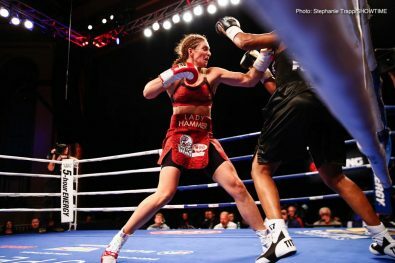 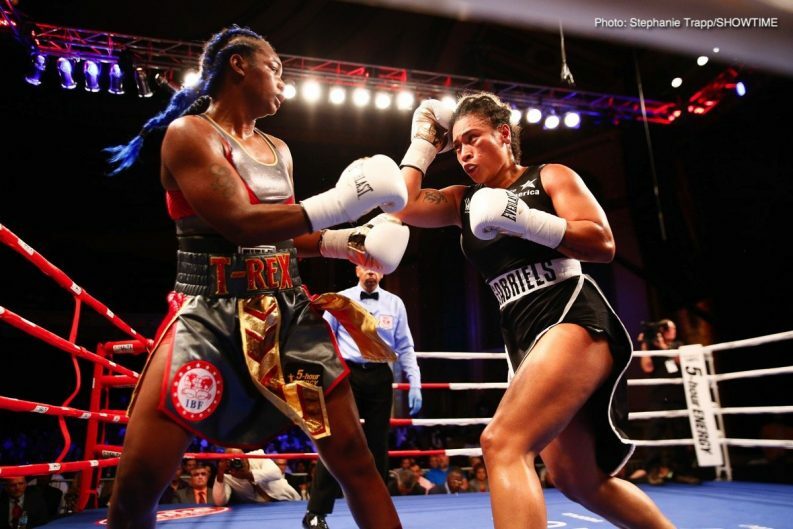 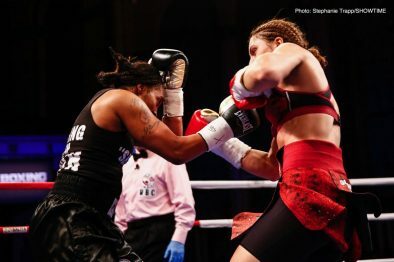 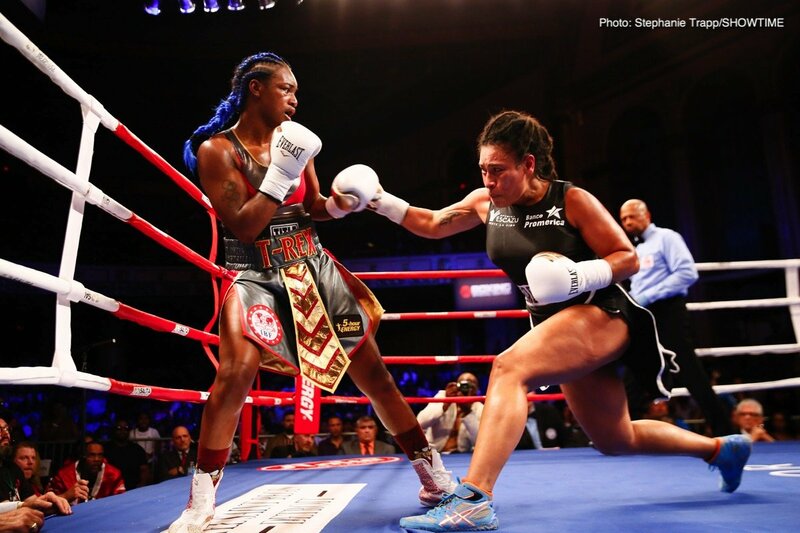 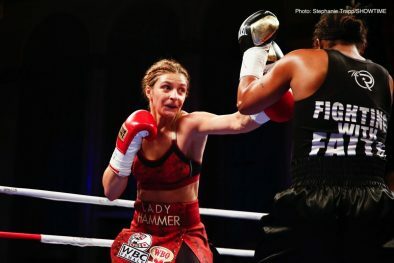 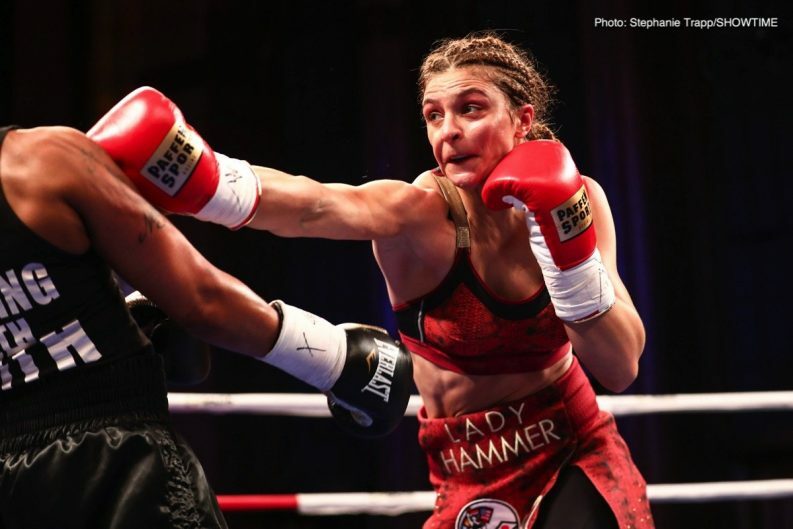 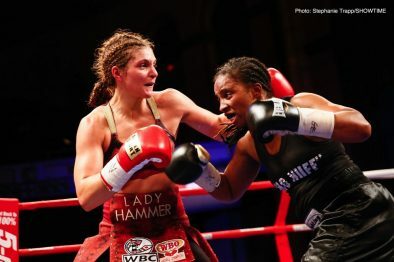 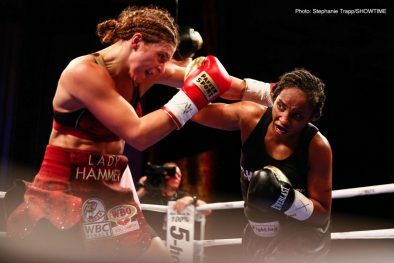 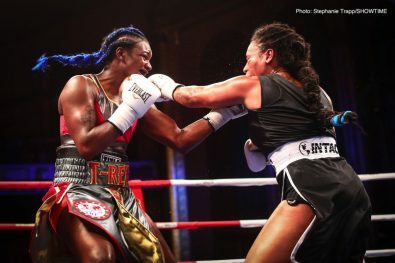 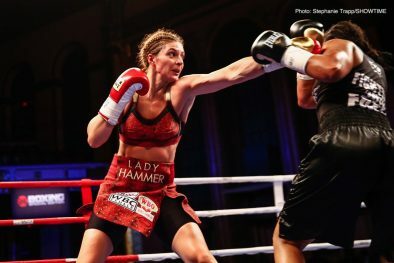 In a lopsided win in her highly anticipated U.S. debut, Hammer (23-0, 10 KOs) remained undefeated with a unanimous decision against Tori Nelson (17-2-3, 2 KOs). 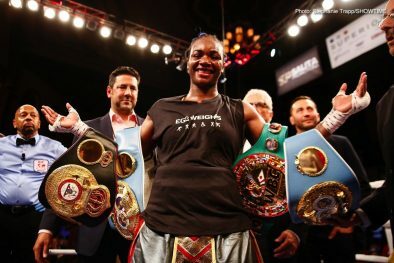 The scores were 100-90, 99-91 twice, to retain her WBC and WBO Middleweight World Title belts. 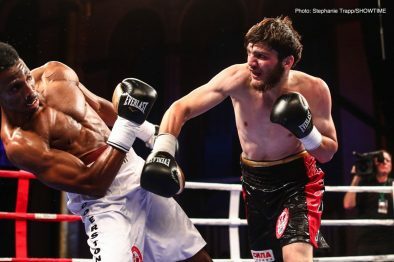 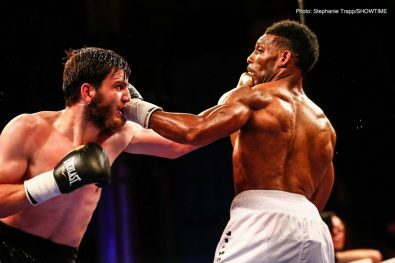 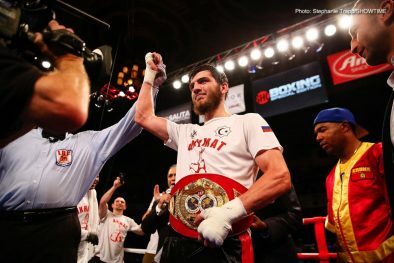 In the telecast opener, Umar Salamov (21-1, 16 KOs) connected on a lethal right hand in knocking out Brian Howard (13-2, 10 KOs) 53 seconds into the ninth round of a scheduled 10-round light heavyweight bout. 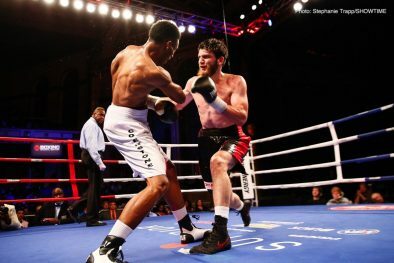 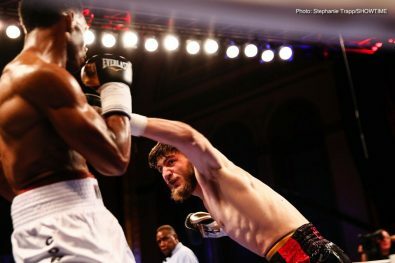 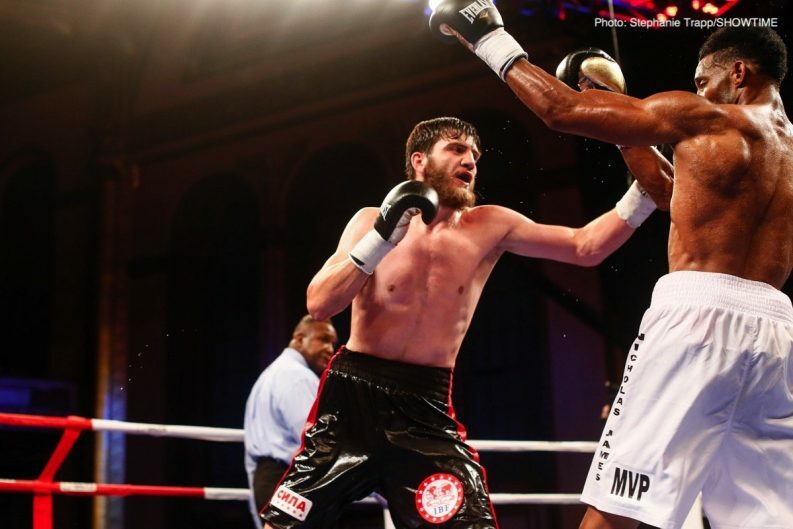 Salamov, from Alkhan-Kala, Russia, was making his United States debut and trains at the famed Kronk Gym in Detroit with Javan “Sugar” Hill Steward. 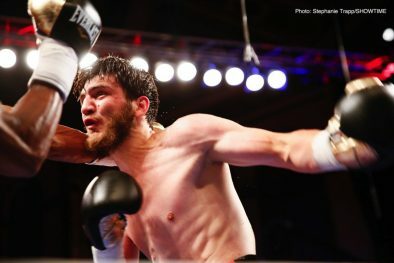 In a fight between two long and lanky fighters, Salamov landed 34 percent of his power punches compared to 27 percent for Howard and was ahead on all three judges’ scorecard at the time of the knockout. 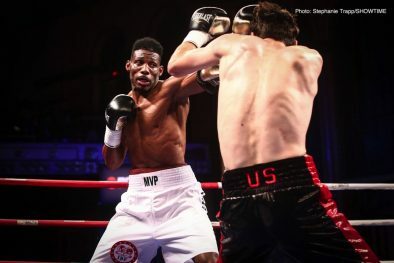 The former cruiserweight Howard had a couple of highlights and was able to effectively land his right hand on several occasions, including one powerful right cross in the seventh round that seemed to stun Salamov. 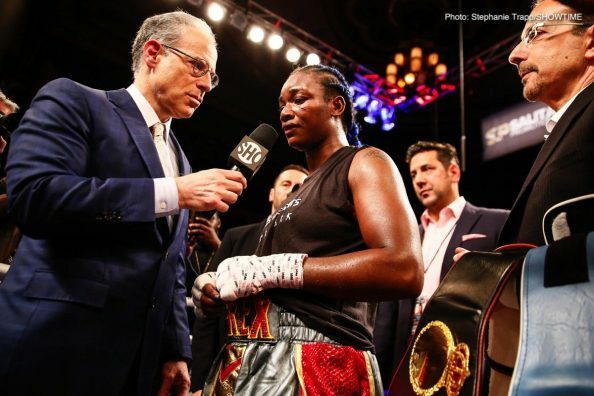 Friday’s tripleheader will replay on Monday, June 25 at 10 p.m. ET/PT on SHOWTIME EXTREME and will be available on SHOWTIME ANYTIME® and SHOWTIME on DEMAND®.